Are you a law student, or do you plan on attending law school? How will you use your degree to make a difference in the world? 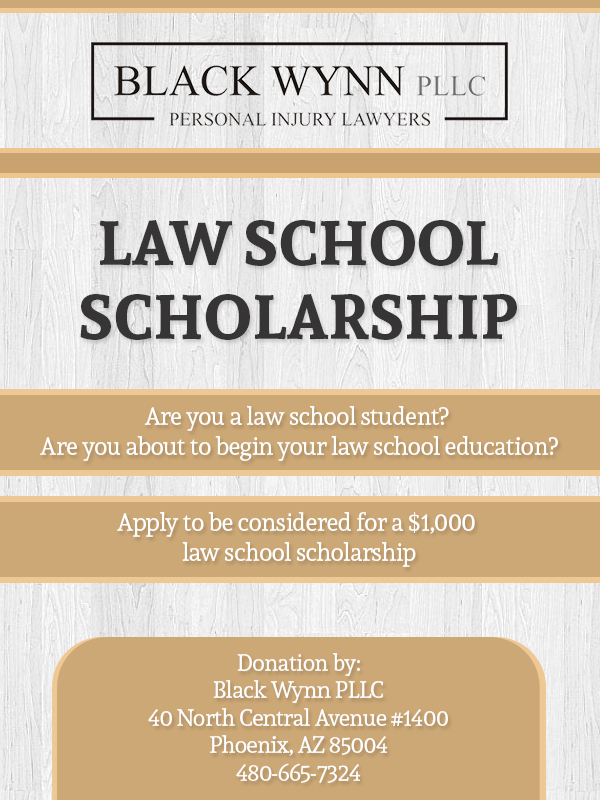 Black Wynn is offering a $1,000 scholarship which will be applied to law school tuition for the successful candidate. Law school is expensive, not only in terms of tuition, but also because of the time and effort it takes to obtain a law school degree. The firm understands this, and is providing the scholarship to provide a degree of assistance in tuition payments. The scholarship is designed to defray a portion of the tuition cost for attending law school. You may apply even if you are not currently enrolled, but you must be accepted at the law school you will be attending and provide us with that information, including proof that you have been accepted, within one (1) year of being notified that you were selected as the recipient of the scholarship. The $1,000 award will be delivered directly to the law school as a tuition payment. The law school must be a U.S. law school accredited by the American Bar Association (ABA). Applications are accepted from United States citizens who are or will be attending a U.S. law school accredited by the ABA. Your application and all uploads must be completed and furnished to us no later than February 23, 2018. As noted above, the online application and all uploads must be completed and received by us no later than February 23, 2018. The winning applicant will be selected by Black Wynn Personal Injury Lawyer, in its sole discretion. The selection will be made on or before March 23, 2018, and notification to the winner will be via email. Any and all information furnished to us becomes the property of Black Wynn Personal Injury Lawyer. We do not sell your information to anyone, and except to publicize or report on our scholarship program, we do not disseminate that information to third parties.